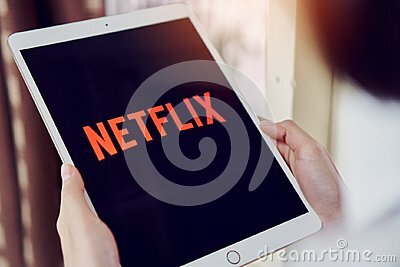 Bangkok, Thailand - January 31, 2018 : Netflix app on tablet screen. Netflix is an international leading subscription service. Bangkok, Thailand - January 31, 2018 : Netflix app on tablet screen. Netflix is an international leading subscription service for watching TV episodes and movies.